Kayla Thompson is a lawyer practicing in our estate solutions and business solutions practice groups. 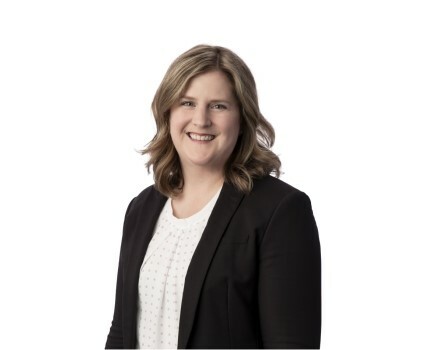 Kayla articled at Duncan Craig LLP and was called to the Alberta Bar in August 2018. She received her Juris Doctor (with Distinction) from the University of Alberta in 2017 and was on the Dean's List from 2015-2017. While obtaining her law degree, Kayla spent a summer as a student with Duncan Craig in 2015 and another as a research assistant in 2016. She acted as writing fellow to teach legal research and writing to first year law students, served as co-chair of the Women's Law Forum and volunteered with Student Legal Services. She received her Bachelor of Commerce (with Distinction) in 2010 from the University of Alberta and her Chartered Accountant designation in 2013 after articling with a large international professional services firm where she focused on providing audit and assurance services to entities of all kinds. She also worked for a publicly listed oil and gas company, where she led the external financial reporting function. Kayla was the previous treasurer and served on board of directors of Caregivers Alberta, a local not-for-profit, from 2015-2017. She also sat on executive committee and chaired the finance and audit committee. In her spare time, Kayla enjoys sport-climbing, hiking, down-hill skiing, and is just starting to get into mountain biking. Duncan Craig LLP is pleased to welcome two new articling students to the firm: Brad Angove and Kayla Thompson. Brad received his Juris Doctor from the University of Alberta in 2017. In 2016, Brad acted as the Coordinator for the Civil Law Project of Student Legal Services of Edmonton. He also worked as a shift leader for Student Legal Services, and volunteered with the organization throughout his time in Law School. In his spare time, Brad is very involved in the rugby community. He coaches the women's law school rugby team, and travels occasionally to play in tournaments. Kayla received her Bachelor of Commerce (with Distinction) in 2010 from the University of Alberta and her Chartered Accountant designation in 2013 after articling with a large international professional services firm. She received her Juris Doctor (with Distinction) from the University of Alberta in 2017 and was on the Dean's List from 2015-2017. In her spare time, Kayla enjoys sport-climbing, hiking, down-hill skiing, and is just starting to get into mountain biking.